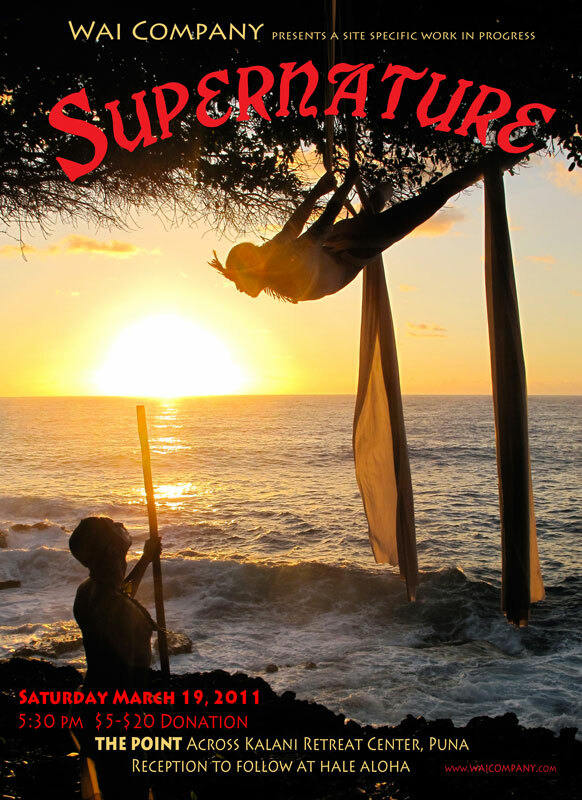 Saturday March 19th, 5:30 PM at The Point across from Kalani Oceanside Retreat Center (Kalani Honua), Kalapana, Puna, Hawai'i Island. This work in progress held out in Nature is inspired by the epic story of Hi'iakaikapoliopele, Madam Pele, and the lover and chief from Kaua'i, Lohi'au. This is a story of love's journey, betrayal, and forgiveness. It is also a celebration in honor of the beautiful land of Puna i ka paia 'ala (Puna of the fragrant walls). 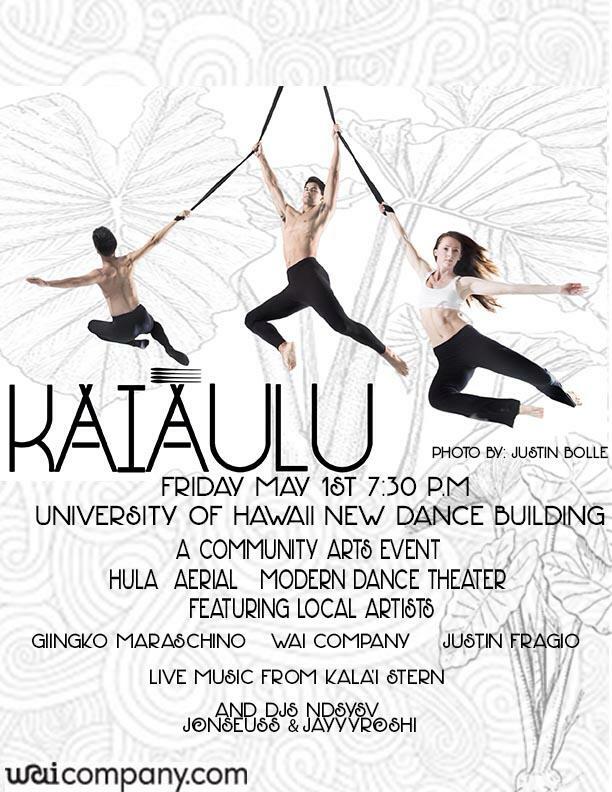 There will be Hula, Aerial Dance, Modern Dance, Live Music, and Spoken Word. It is a small kine "fundraiser" so any monetary contribution will be accepted with gratitude. Reception to follow at Hale Aloha around 6pm… Mahalo!